Baranof Fishing Excursions Take me Fishing Walk-ups Welcome! 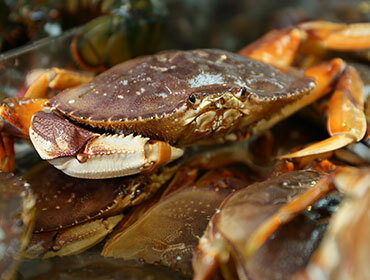 The Fish House is easily Ketchikan's first choice for fresh Alaskan seafood. 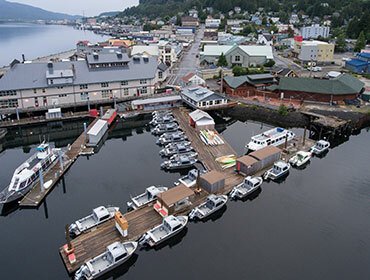 Visit us at the end of Main Street, just a short walk from the cruise ship docks, to enjoy gourmet seafood dining next to the most historic fishing fleet in Ketchikan.  Try a complimentary sample of our delicious smoked salmon corn bread while ordering from our menu featuring grilled salmon, halibut & chips, crab, and our famous smoked salmon chowder. With our historic view, cannery-style architecture, rustic theme and downtown location, the Fish House is a favorite venue for locals and visitors alike. 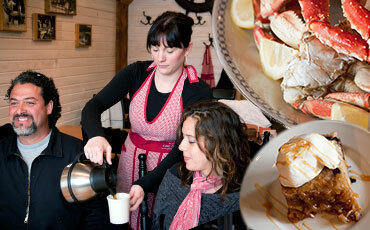 Dining suggestions from a local. Whatever your tastes, you should be able to find what you're looking for here. 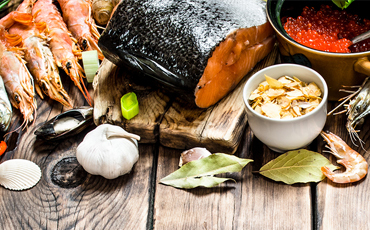 From casual dining to a gourmet experience, we've got you covered with some tried and true local favorites. for you to break bread with your friends and family. 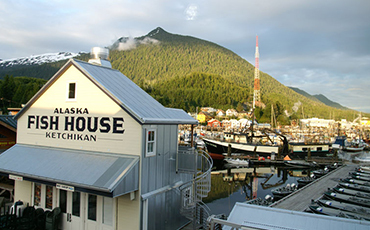 Experience all Ketchikan has to offer. We've put together a comprehensive list of local Ketchikan activities, businesses, and excursions to make sure visitors enjoy our home as much as we do. Alaska, "The Last Frontier", is synonymous with adventure. Here are some of our stories of home as experienced by our clients, friends, and guides. 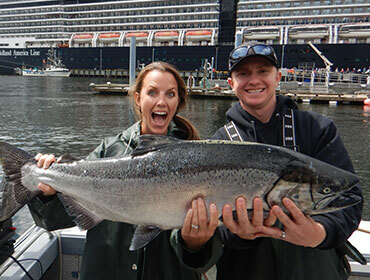 Thank you for considering Baranof Fishing Excursions for your Alaska fishing adventure. Sign-up to receive our newsletter. Copyright © 2017. All Rights Reserved by Baranof Fishing Excursions.